Do it yourself easily at home! 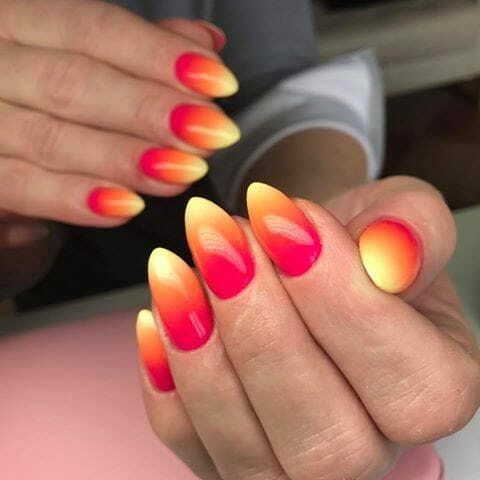 No need to spend a bomb at the nail salon, get these simple ombre nails in the comfort of your own home! 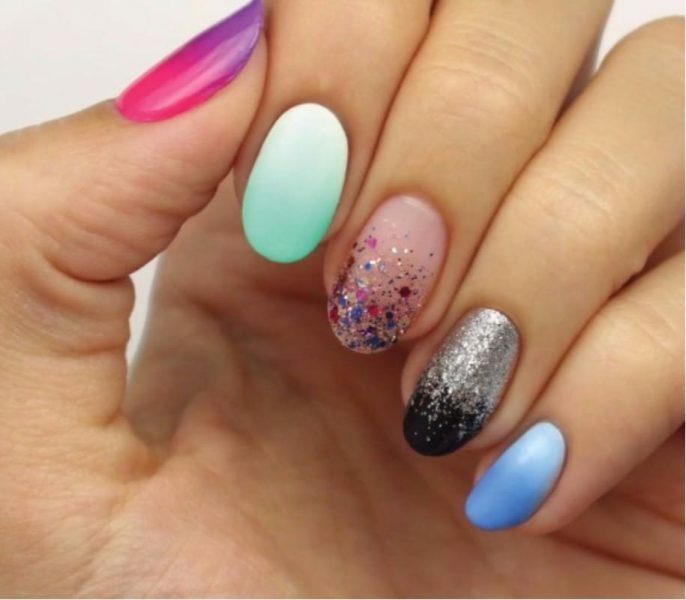 Start with clean nails that have no nail polish or dirt on them. 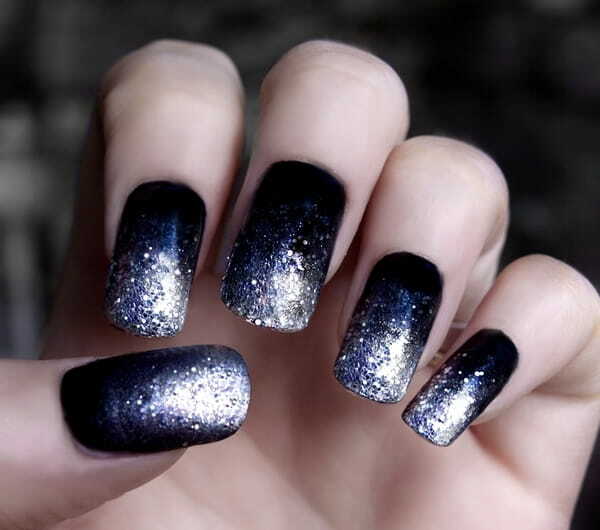 For a cleaner look for your nails, you can apply fevicol outside your nails so the nail polish doesn’t stain them. 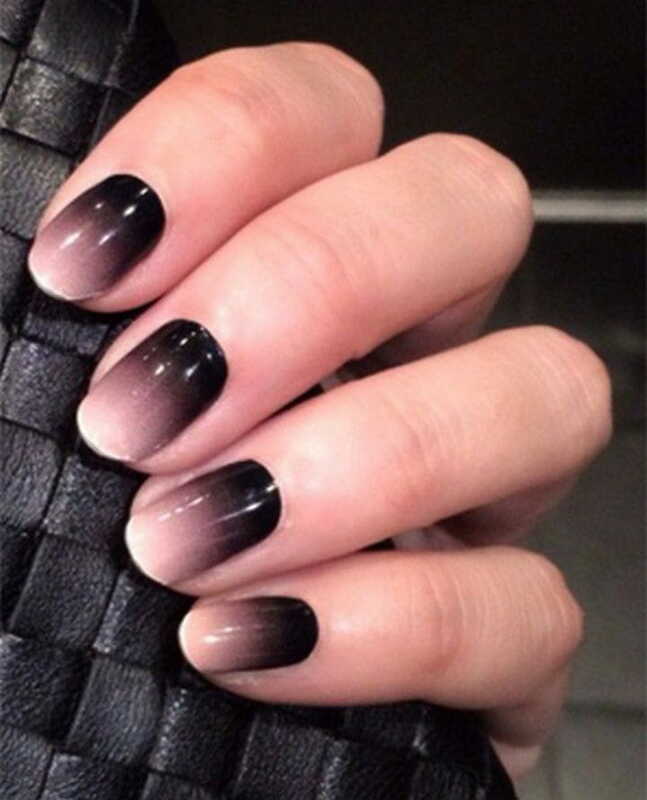 Paint a solid colour on your nails as a base coat. Next, on a plate, paint a small square of the base coat and ombre colour making sure they don’t mix but aren’t too far apart. Using a toothpick, make them merge by mixing them in the centre. Leave the outer portions of the squares untouched. 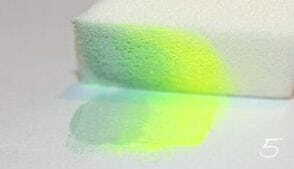 Grab a sponge and dab it on the nailpolish you just mixed, which will give you an ombre effect. 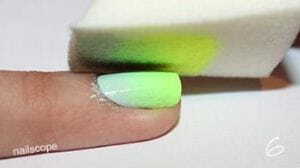 Apply it on your fingernail, making sure the base coat side is towards your nail bed and lightly keep dabbing without moving it. After it looks something like this, let it dry for an hour or two. Apply a top coat on top of it to seal the pattern in. Clean up the sides with a brush and acetone or if you had applied fevicol, you can peel it off without any hassle. 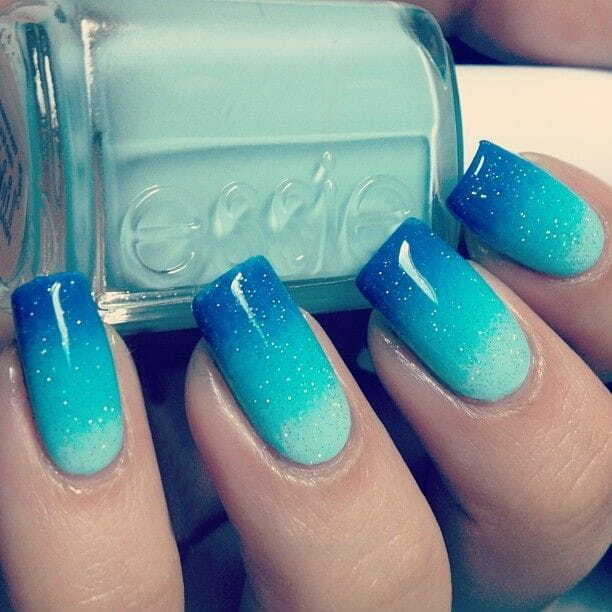 Your ombre nails are complete!